If you live near the United States’ Canadian border, you’ve probably been tempted to purchase a used car or truck and bring it over here. Maybe you’re a snowbird that has a winter home and you want to keep your car in the States full-time, or perhaps you’re eyeing those Nissan Skylines and Acura-badged Civics that are unheard of in the U.S. Either way, legally importing a vehicle from Canada can be a rewarding or frustrating experience, depending on how prepared you are. Except the R34 Nissan Skyline GT-R, of course. That’s it’s own story. I am not going to lie to you – there are a lot of steps to take when importing a vehicle from any country. You will need to be organized and prepared to jump through some hoops. However, if you find the car you want at an affordable price, it might be worth the time to make it happen. In this guide you’ll learn all about importing a vehicle from Canada: what cars are eligible, the paperwork involved, and most importantly, how much it costs. Why Not Just Bring One Over? Why go through all this nonsense instead of just bringing the car over and crossing your fingers? If you drive back and forth across the Canadian border on a regular basis, it’s important to note that your Canadian-registered vehicle is only legal in the United States for one year. After that, authorities can seize it (for non-payment of duties, among other reasons) and they’ll either deport or crush your beloved car without a second thought. You could also import a vehicle from Mexico, but the same rules apply to that as well. To avoid that fate, finalize the import process within 365 days after the car’s arrival in the U.S.
Take a moment to look at the car’s manufacturer label. GM, Chrysler and Ford all have plants in Canada that produce vehicles which are later sold in the United States. For example, Ford produces the Flex and Edge vehicles in Ontario. In addition, GM produces their Camaro and Impala also in Ontario as well. Even though American automakers have Canadian facilities building cars for the U.S. market, that doesn’t mean all these cars are conformed to America’s market. 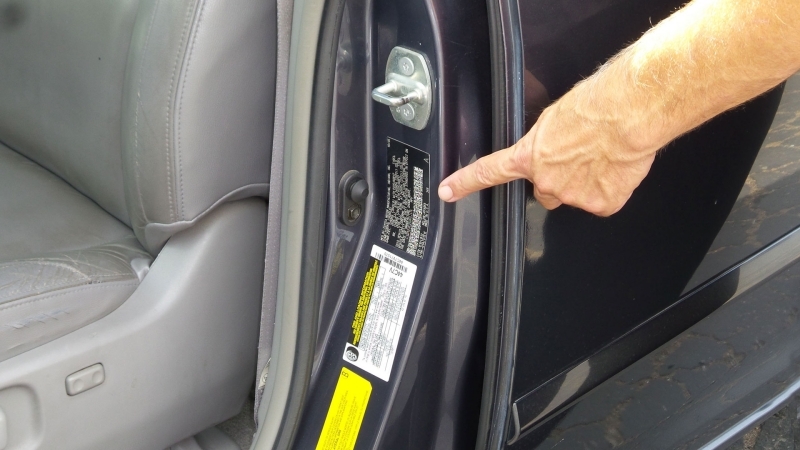 The manufacturer’s label needs to be inspected if you want to determine whether the vehicle is valid for U.S. distribution. You’ll find this label in one of a few spots. Look in the door latch post, near the door’s edge, or at the hinge pillar. If the label says it’s made for United States sale, you’re going to have a slightly easier go of things. Slightly. Not all Canadian vehicles meet the standard of the National Traffic and Motor Vehicle Safety Act or the Environmental Protection Agency’s emission standards. Thankfully, the rules aren’t overly strict. Canada’s motor vehicle safety standards closely resemble our Federal requirements. That’s why the NHTSA issues blanket eligibility covering many Canadian-certified vehicles bound for the U.S. market. Before you get your hopes up, there are some discrepancies between the two. If the Canadian-certified car or truck was manufactured before the FMVSS requirements changed, for example, then the vehicle must be updated to meet U.S. standards. As a little extra peace of mind, you might be happy to know that many of the vehicles north of the border are going to meet our government’s standards, but you should still research the specific vehicle at the beginning of the importation process to save yourself time and headaches. 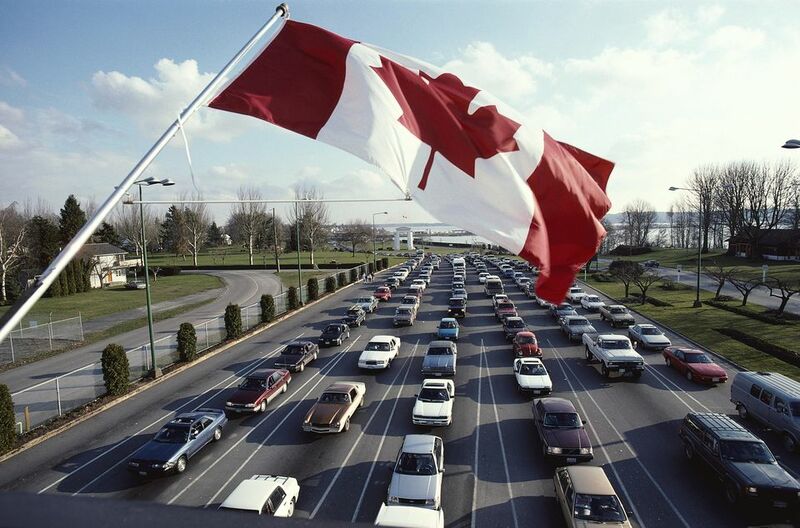 Can I Legally Import a Vehicle from Canada? Absolutely! Importing vehicles from Canada is permitted by any person looking to use the car or truck for personal use. It must comply with the Federal Department of Transportation safety standards and U.S. Environmental Protection Agency emissions standards. If it doesn’t meet those already, then a DOT Registered Importer needs to import the vehicle instead. You can find these in many major cities. Another thing you’ll want to do in the beginning is check to make sure the car has no liens, no title problems, and isn’t stolen. Just imagine the headache of paying for a used car and then not being able to get it across the border! Thankfully, we can help with this process. Just contact us and we’ll run the VIN for you. What’s the Total Cost to Import a Vehicle from Canada? With all this talk of taxes, fees, and duties, it’s clear that this isn’t a cheap process. Thankfully, importing a vehicle from Canada is similar cost-wise to buying one in the States. We can’t give you an exact number here because it’s different for every car. There are numerous vehicle-specific payments that constitute a majority of the expenses, with paperwork and the actual importation of the car being comparatively minor expenses. With that said, let’s take a top-down look at the importation process. 1. After conducting the research we discussed and verifying your vehicle is eligible for importation, go ahead and pay for the vehicle. Make sure you get a Bill of Sale showing the VIN with your name as the purchaser. 2. 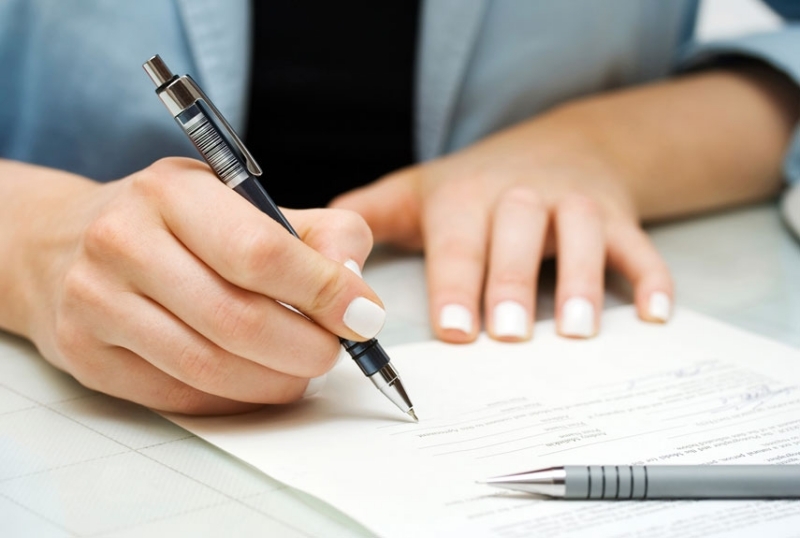 You will also need the Manufacturer’s Statement/Certificate of Origin or the car title. 3. Go ahead and obtain a temporary license plate and an insurance card from the Province in which you make the purchase. You can often extend your U.S. insurance coverage to cover you in Canada as well. 4. You will have to pay a Goods and Services Tax (GST) on the car, but you should be exempt from Provincial Sales Tax (PST) if you aren’t a Canadian resident. 5. Have the car thoroughly cleaned and steam-sprayed prior to heading to the border. The U.S. Department of Agriculture wants the undercarriage completely free of any foreign soil, and you never know what the previous owner did inside. 5. Make sure you have all your documents in order before attempting to cross the border. You’ll have to go inside the Customs building and fill out form CBP 7501 and some others declaring your possessions, including the car. During that time, the customs officials will take time to inspect your car and match it up with your paperwork. Expect to be here for at least thirty minutes. Exemptions: There are two main sources of financial relief that come into play. As a U.S. citizen, you can apply a $400 Customs Exemption fee at the time of border crossing, so long as you’re driving a car across that you bought on that specific trip. Each family member riding in your car can, too, providing they are also U.S. citizens. As a U.S. resident, you will receive a $10,000 Value Exemption on the vehicle. That means if the car is worth $15,000, you’ll only pay Canadian taxes on $5,000. Gas Guzzler Tax: Some imports will be hit with the infamous “gas-guzzler” tax. If the car has a combined EPA fuel-economy rating of less than 22.5 mpg, expect to pay extra. Other Fees and Taxes: There will be other vehicle-specific fees, such as the Air Conditioning Tax for cars with A/C (yes, it’s a real thing) that can add substantial cost to importing a car from Canada. If you import from Nova Scotia, Newfoundland, New Brunswick, British Columbia, Labrador or Ontario, you’ll also have to pay the provincial sales tax when you cross the border. You have some further steps to take once you get back to the United States. 1. Insure the vehicle in the U.S.
2. Take your paperwork to the State DOT to register your vehicle. Prepare to pay the state taxes and applicable fees. You may also need to get an emissions test before registration. 3. In just a few weeks, the tags and plates for the vehicle should arrive. If all of this sounds like too much to deal with, you have two other options. The first is to simply purchase a car that’s already been imported into the United States. You know that these cars meet our country’s legal standards and you won’t have to travel over the Canadian border or deal with customs, duties, and fees. The other option is to use an importing specialist to walk you through step by step. These businesses understand how to import a vehicle from Canada, and they can help you research the safety standards needed for a motor vehicle and enable you to work with the National Highway Safety Administration to smoothly import a vehicle from Canada or anywhere else. Importing a car from Canada is something you can absolutely do yourself without professional help, but it never hurts to have a friend on your side. Newer PostIs Winterizing a Vehicle Necessary?